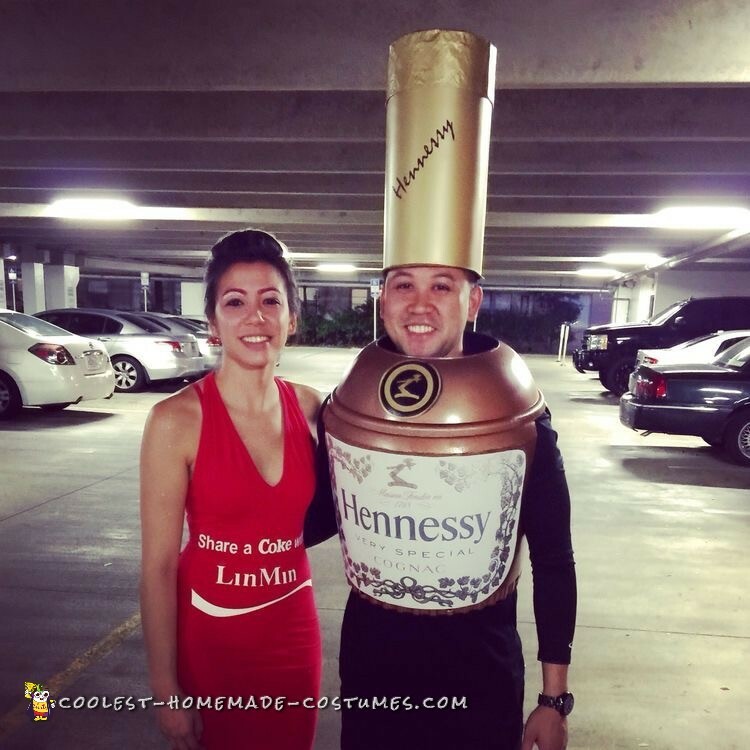 I made this couples costume with plant pots and a ornament cylinder container! I used spray paint and a printed picture for the label. You can print at any office store and glue on. The most difficult part was to make the small brand symbol at the curve of the bottle. Measuring arm holes and where to position them was a task but a lil guesstimating worked out. Overall a week worth of construction. Fyi, this is not a good costume to be driving in. I enjoy this refreshment and what better time to show my love for it! Halloween! It was a instant hit to people who were familiar with the brand.